Our arboriculturists carry out tree surveying all over the UK. If you need a tree survey for your project, please contact us and we will send you a free quote via email within 24 hours. 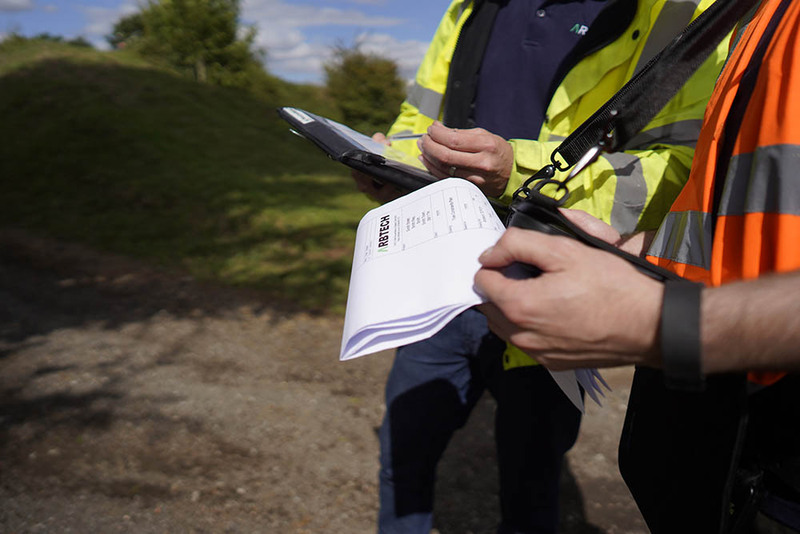 BS5837 tree surveys and tree constraints plan drawings are required for most planning applications where trees are on or adjacent to your site. A BS5837 tree survey needs to be done before we can carry out this service. You will need an impact assessmnet, method statement and tree protection plan before we can do this. If you own property / land or are thinking about buying, we can provide an assessment of how any trees on the property could affect you. Two of our tree experts working on site. So, you are a developer, site owner or architect and maybe you are thinking of building an extension or renovating / developing a property. If the building in question is close to trees then you will probably need a tree survey, and our arboriculturists have over 10 years of experience in doing them! 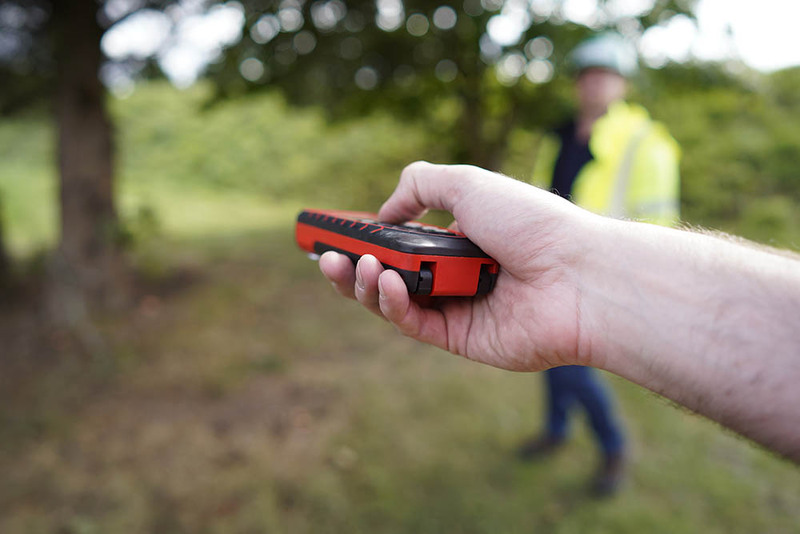 Tree surveys are needed because UK planning authorities are required to check the impact that a new development could have on trees and vegetation. To do this, they use a number of documents that outline the potential impact of the development. If you need a tree survey then you will need the services of an experienced, trustworthy consultant to help your project go smoothly. When it comes down to the length of time it takes to complete your tree survey, it comes down to the arboricultural consultant you choose to do it. BS5837 Tree Survey – around 1 – 5 days. Impact assessments – between 2 – 4 days. Method statements and tree protection plans – between 1 and 3 days. At Arbtech, our arboriculturists don’t undertake subsidence work, or get involved with TPO appeals, or bid for large scale tree safety surveys. We don’t do any of this because we are not jacks of all trades. We are the masters of one, having an unwavering focus on BS5837, trees and development. Because helping people with tree problems secure a planning consent is all we ever do, we’ve become pretty nifty at it, and we’re justifiably proud of our reputation for being the best in the business. A reputation that we have spent the best part of a decade earning. Before we do any tree surveying, we kick things off by asking you a few key questions. What are you planning to do, how, and where? With a site plan and that information, we can get your project moving forward at warp-speed. Occasionally the challenges of your project are especially demanding, and still less regularly, even our survey capacity is overwhelmed – but most of the time you’re looking at a couple or three days for your survey and report. We can do this because of our investment in tree surveying technology; our experience of undertaking (probably thousands and certainly) hundreds of projects that present near identical constraints and challenges to your own site; and our personal relationships and reputation among the majority of local authorities throughout the UK. Uniquely, we employ an expert team of arboriculturists and tree surveyors that are located throughout the country, so except in highly unusual circumstances, the only variable determining the tree survey cost is the number of trees you have. We are so confident that you wont be refused planning consent on the basis of (following) our advice, we offer a 100%, no quibble, money back guarantee on all of our arboricultural survey and report services. When looking for a tree surveyor to help with your project, you’ll probably be keen to find a reliable company in your local area. Arbtech arboricultural consultants cover almost all areas of the UK due to our efficient company structure. 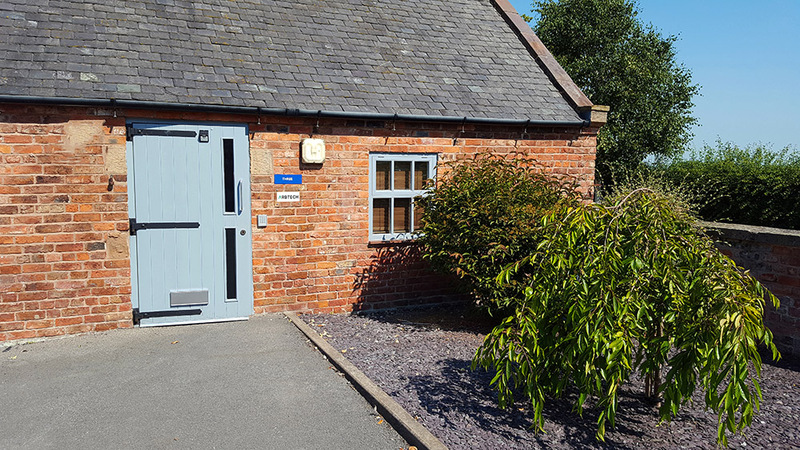 We have 3 office locations; in Chester, Birmingham and London and in addition to these offices we have employees who are home based which give us an even wider coverage. Although many of our arboricultural surveys are done near some of the UK’s largest towns and cities including London, Manchester, Liverpool, Sheffield, Essex, Bristol, Reading and Leeds, we’ll cover nearly anywhere, so get in touch today and we’ll get a free quote out to you. To get a tree surveyor (arboriculturalist) working on your project, all you need to do is call our friendly team of arboricultural surveyors or get in touch using the quote form. We’ll ask for the information we need to provide a quote and we will send you a detailed quote explaining all you need to know about tree surveying. If you want to proceed with the tree survey then you just let us know using the booking form that we provide and we will then arrange a date to complete the work. When you request a quote from us, there is no obligation to proceed with the work at all, so you’ve got nothing to lose by getting in touch and obtaining a quote for tree survey almost anywhere in the UK. If you have any questions at all, then please get in touch and our friendly team at the head office in Chester will be happy to help. As well as tree surveys for planning, we frequently carry out tree surveys for health and safety purposes. Some of our clients may need a survey to check if a single tree on their property poses a risk. We can carry out a survey to help with this. Matt was very quick to pick up the file and realised the importance of getting it done ASAP so we could amend our planning application. Matt also made us aware of the negative areas we had within the application and those that could possible effect a decision in our favour. Great feedback and attention to detail throughout the process.